Xubuntu 18.04 LTS is an official flavor of Ubuntu Bionic Beaver which uses XFCE Desktop Environment. In this release, it's still as lightweight as before (~350MB of RAM at idle time), with user-friendliness you can expect as always. Yes, it still supports 32-bit so you don't have to buy new computer to upgrade or install it; for the next 3 years. 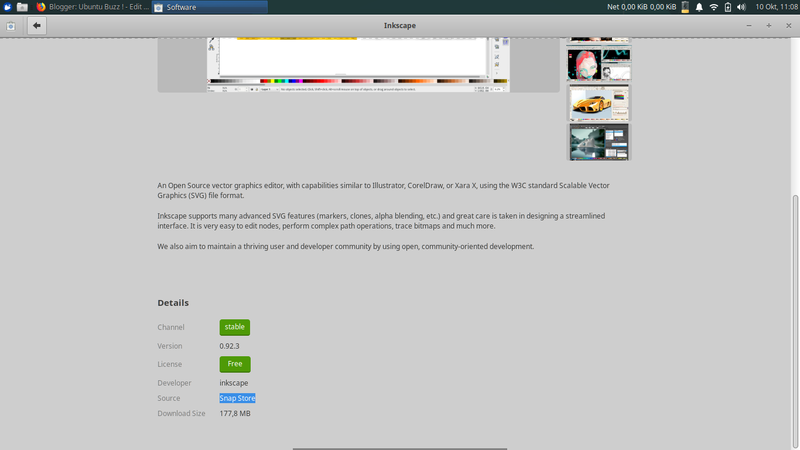 It supports Snappy out of the box with GNOME Software integration. 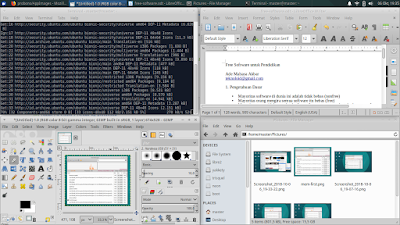 It brings Firefox 59, LibreOffice 6.0, and XFCE 4.12 for us, in only 1.3GB sized ISO image file. 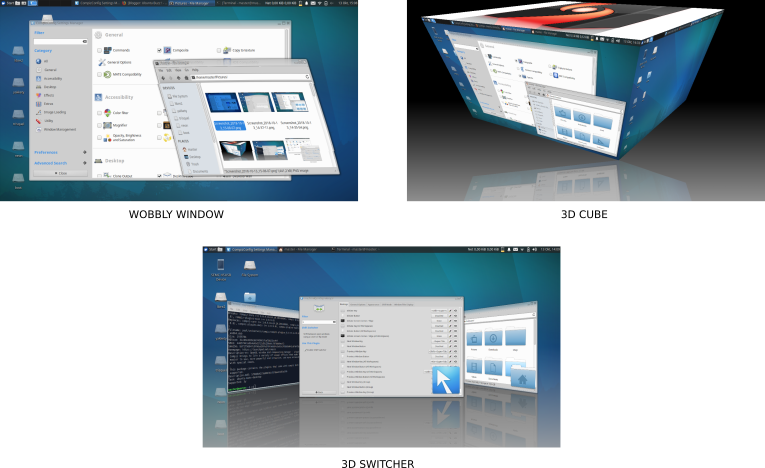 And yeah, in this review, I show you that Compiz works here with 3D Cube and stuffs we really missed from our old Ubuntu era. Read the review below and I hope you will like it. Enjoy Xubuntu Bionic! 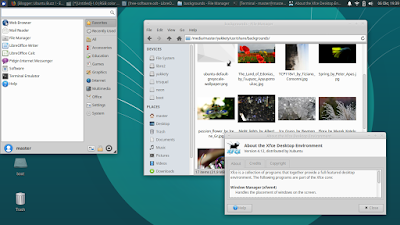 Nothing has been changed too much even since 2010 (version 10.10) on the Xubuntu user interface. 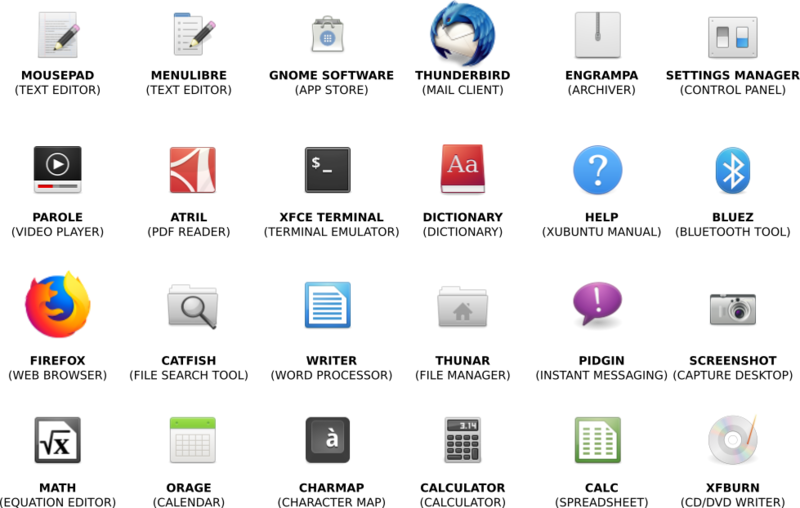 It's still single panel on top, with top-down menu (Ctrl+Esc) on left, and it's as customizable as always. Window snapping is still there and it's quad (2x2) as well as half (1/2). You can put up to four windows side-by-side by dragging each window to each of four corners. 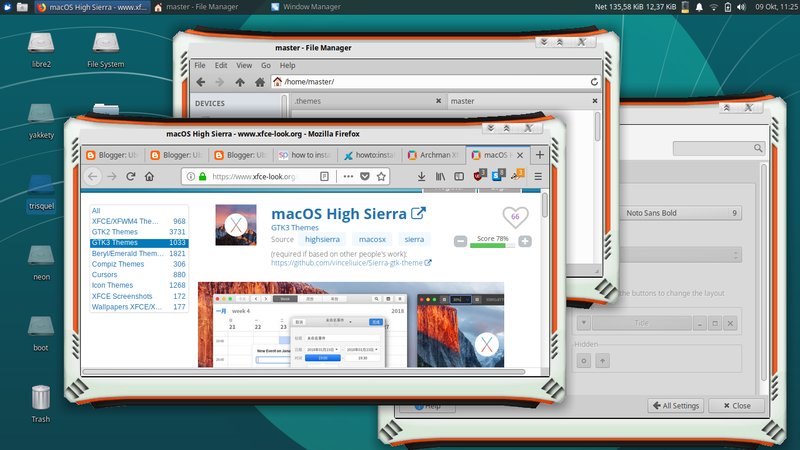 Do you miss Compiz and CCSM? Fortunately, it works on Xubuntu 18.04 very well. At least, it works on my laptop Acer Aspire One 756 with Intel Graphics. We can enable 3D cube, wobbly window, and 3D window switcher like our old, old times. I tried some XFWM theme called Alienware from XFCE-Look.org website and it works. What we need to do is simply create ~/.theme folder and extract the theme archive there and switch theme from desktop menu > Window Manager > Style. It works. The control panel is reachable from desktop menu > Settings Manager. 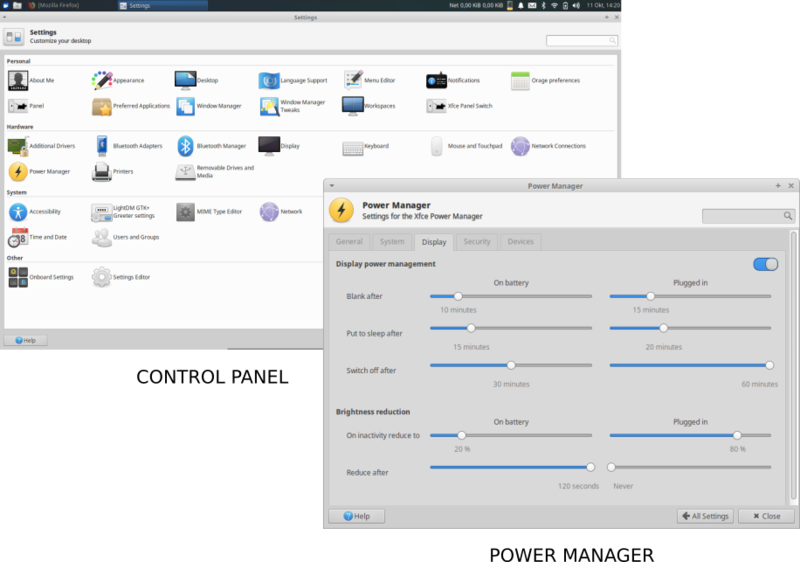 One among many outstanding configurations on Xubuntu this day is the Power Management. It allows us to adapt power saving better, for example, suspend when inactive for 15 or 30 minutes, change critical battery power level, and so on. Laptop users will be happy with this. It's only 350MiB. It's nothing different to the Beta 2 review I did last April. 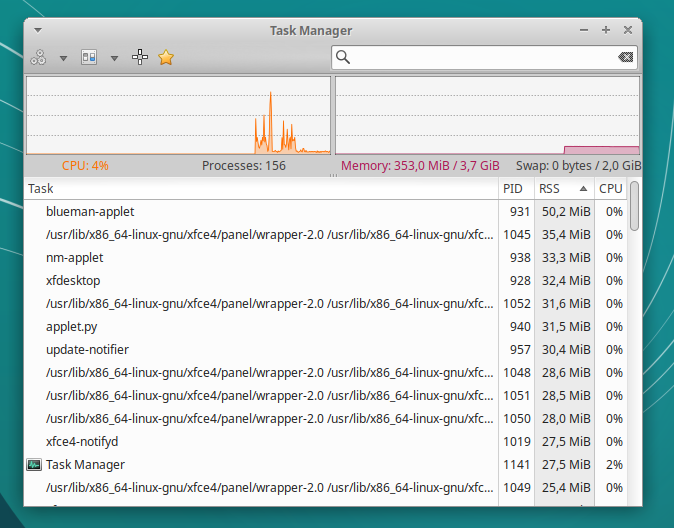 I really like a modern desktop systems which take only under 400MB of RAM in this modern day. This simple chart compares the memory loads of Bionic GNOME, Xubuntu Final, and Xubuntu Beta. This continues the previous Beta 2 chart. 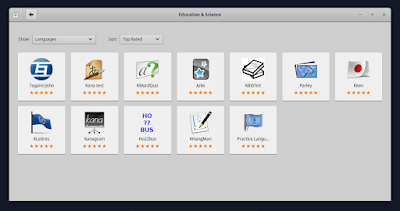 In summary, Xubuntu Bionic brings latest and greatest free software as usual: Firefox 59 and Thunderbird 52, LibreOffice 6.0, GNOME Software as the app store, and bunch of XFCE Apps various versions. This set of applications are enough for common daily usages but, anyway, Xubuntu does not bring any audio player by default at this time. Here's a depiction of default apps on Xubuntu 18.04. Here's the detailed list, categorized. Want to see more details? See here (64-bit) or here (32-bit). 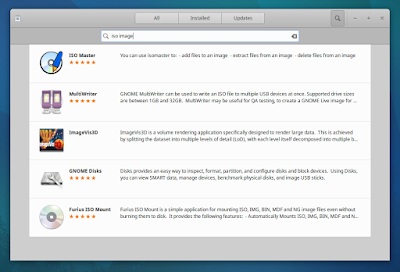 You can see a list of all packages (with respective versions) within each ISO image file. 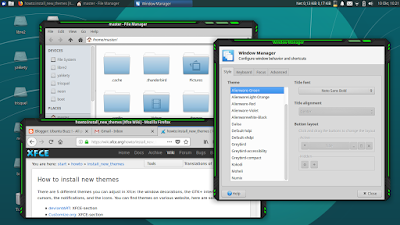 Thunar, the all-time Xubuntu's file manager, reaches version 1.6.15. 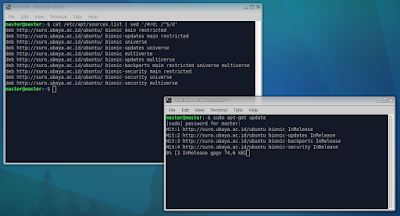 It's an improvement on Bionic over the last Xenial LTS' (1.6.10) and Trusty LTS' (1.6.3) (each link refers to respective .manifest file, use Ctrl+F to find thunar there). As usual, it's our simple, lightweight but complete and standard-compliant file manager; without confusing or unneeded features. However, it provides Open Terminal Here as well as Search (through Catfish) features here. 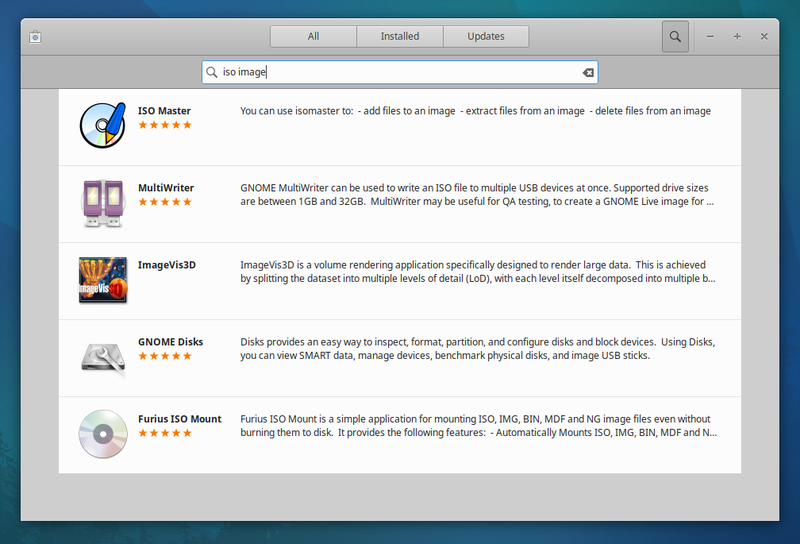 Okay, I personally dislike the fact that Thunar does not have internal search feature. But actually, on Xubuntu Bionic, we can do search: right-click a blank area > Find in this folder > a separate search dialog showing > do your search there. Open in Terminal has already been there! Yes, I love this feature, as we immediately presented the working directory from file manager in the terminal (so, less cd commands). Basically, Xubuntu LTS is supported for 5 years, from 2018 until 2023, by Canonical. But the XFCE Desktop Environment and specific Xubuntu Apps are supported for 3 years, from 2018 until 2021, by Xubuntu Team and community. Compare this to a non-LTS release, whole support is only for 9 months. I recommend Xubuntu 18.04 LTS over any non-LTS version for most users. Want to see more detailed info? Here's my output (TXT) of ubuntu-support-status. Fortunately, where many other distros (even Ubuntu itself) have been removed their 32-bit support, Xubuntu 18.04 still provides it beside 64-bit. This means you still can run your old computers with latest Xubuntu, latest software for 3 years. It's amazing. So unlike PureOS, deepin, elementary OS, openSUSE Leap, and even Manjaro, Xubuntu really still give us 32-bit. 32-bit download option at Xubuntu website! Xubuntu 18.04 features GNOME Software, a graphical program to help the user installing more applications. Beside that, experienced user still can use APT command line if they wish. The 18.04 provides us more than 60,000 packages meaning we have more than enough number of software for our life. 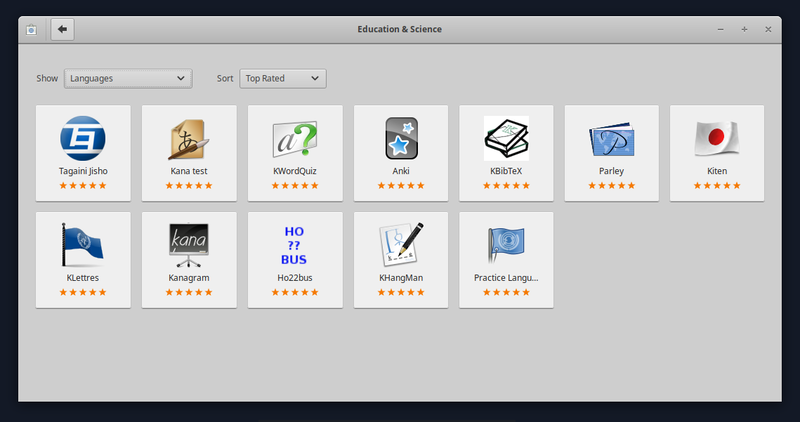 For example, below I show you Education section of Software and how to search iso image tools within it. Xubuntu is an official flavor of Ubuntu. This means Xubuntu uses Ubuntu's repository. So now Xubuntu uses bionic codename in its sources.list configuration. 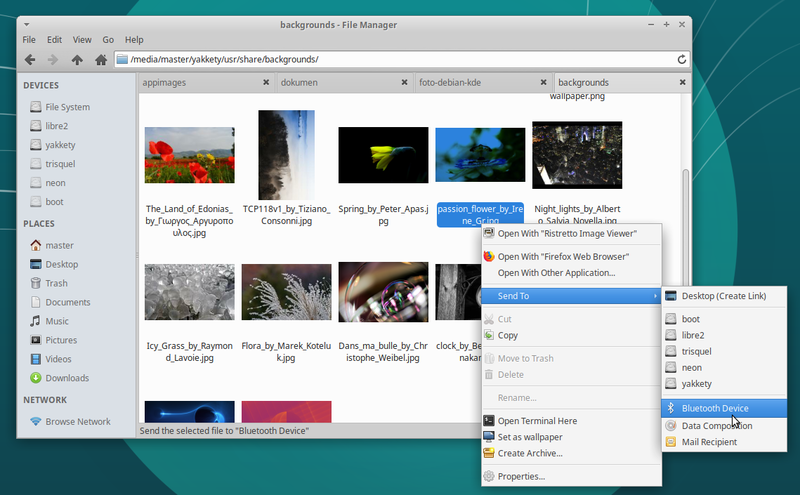 By default, Xubuntu Bionic supports Snap out of the box. 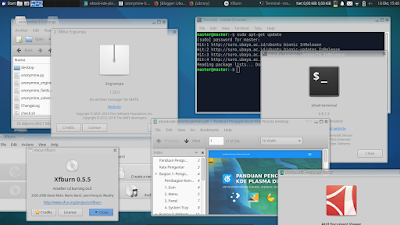 If you love Flatpak, don't worry as Xubuntu also supports it, but you need to install the tools. Anyway, snapd and gnome-software-plugin-snap are installed by default while flatpak and gnome-software-plugin-flatpak are not. What's Snappy and Flatpak? In simplest sense: they are two package managers with their respective repositories to deliver you up-to-date software directly from each original developer. A really good explanation of them can be found at MakeTechEasier. 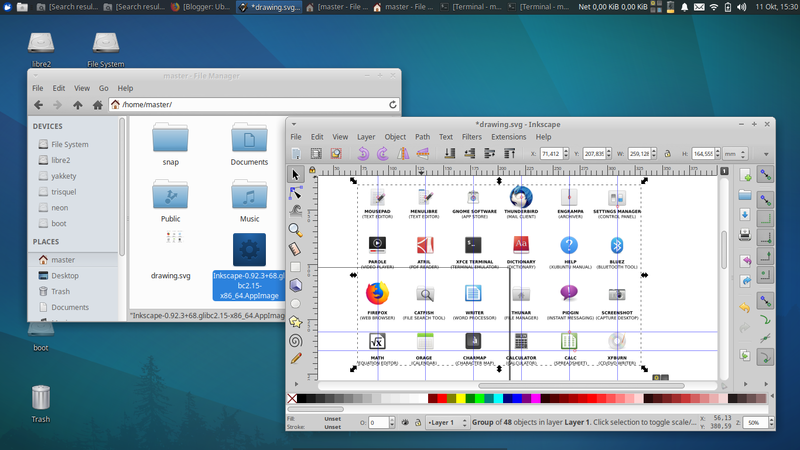 I tested both GIMP 2.9 and Inkscape 0.92 AppImage versions (packaged by community) and they run flawlessly. 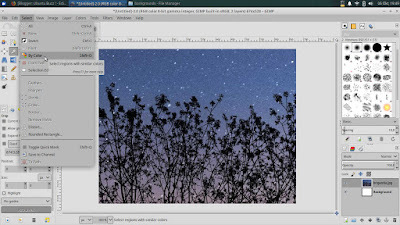 I can do right-click > Open With GIMP, I can put the program on Xubuntu menu, and really it works very well. On Inkscape, I can drag-and-drop pictures from file manager onto it, just like normal applications. You still don't know about AppImage? It's a 10-years-old application format that is universal for all GNU/Linux distros. It's awesome, you download a program in .appimage extension, you make it executable, and double-click it to run. It's really cool! 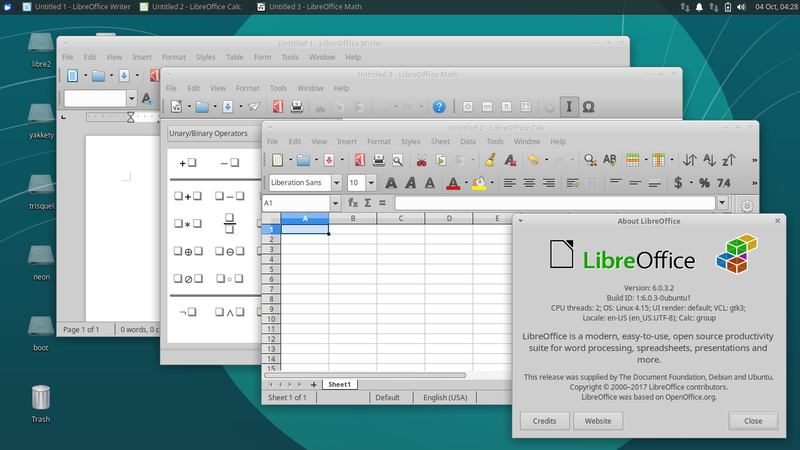 Xubuntu brings LibreOffice 6.0 with three of its modules: Writer, Calc, and Math. The rest of modules, Impress, Draw, and Base can be installed later using Software Manager. Other applications like archive manager (MATE Engrampa), PDF reader (MATE Atril), CD/DVD burner & ripper (Xfburn) work out of the box here. 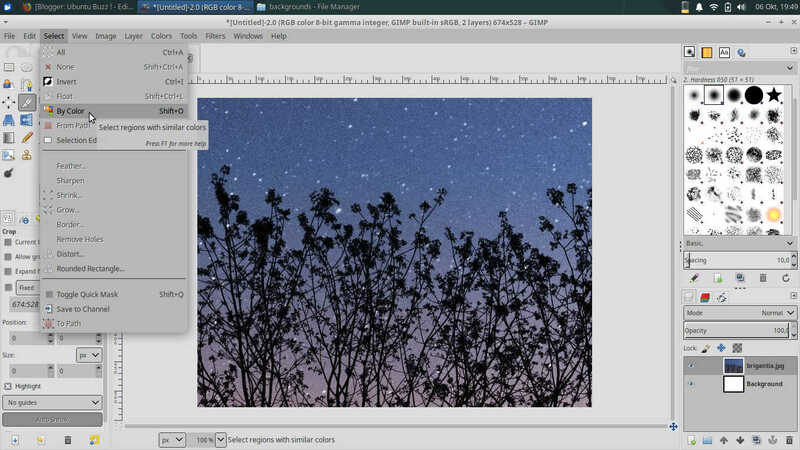 It's lightweight as always, it provides traditionally needed desktop applications out of the box, and it will be supported for 3 years (with 5 years support for the base system). 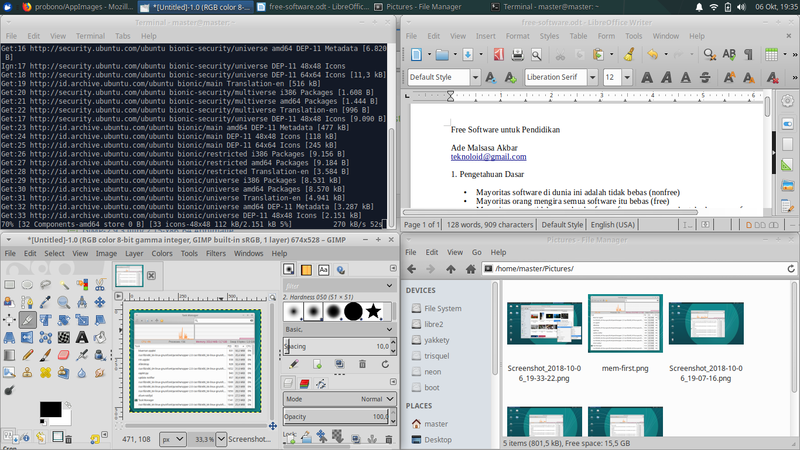 Firefox 59, LibreOffice 6.0, and kernel 4.15, all in only a 1.3GB ISO image file. It's low-resource, complete, customizable, LTS, and supports both 32-bit and 64-bit, it's Xubuntu 18.04. Finally, you don't need to buy new hardware nor remove your old ones, as Xubuntu still supports them. I hope this 18.04 release can satisfy most users of prior versions (via upgrading) and accomodate users with new hardware in full performance (via fresh installing). Happy working with Xubuntu!